Status: Part time Seasonal Employee April – November. Up to 21 hours/week; (weekends required). The Organization: Walkway Over the Hudson is a 501(c)(3) nonprofit organization founded in 1992. 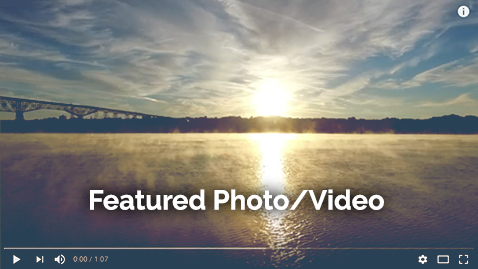 Our mission is to inspire people to connect to the beauty of the Hudson Valley through long-term stewardship of the Walkway Over the Hudson State Historic Park and support of the regional trail system, which offer public enjoyment of the bridge’s historic architecture, the scenic wonders of the Hudson River Valley and the diversity of its recreational and cultural activities. Walkway Over the Hudson is a small but fast-paced nonprofit organization responsible for the promotion and fundraising for Walkway Over the Hudson State Historic Park. 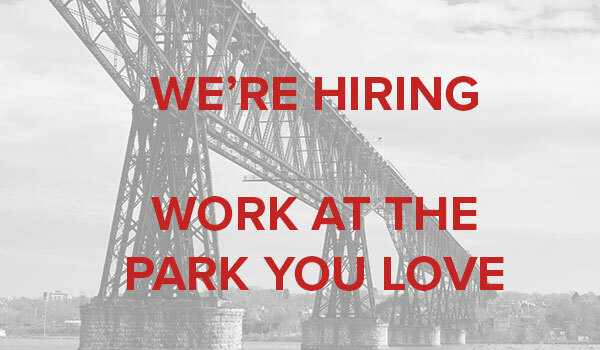 The Walkway organization seeks a seasonal Merchandise Pavilion and Program Assistant. Primary role of the Merchandise Pavilion and Program Assistant is to serve as the on-site Merchandise Manager of the Walkway nonprofit organization. The Merchandise Pavilion and Program Assistant will help manage the retail operations at the East and West Walkway Pavilions. The Merchandise Pavilion and Program Assistant will assist with the new Walkway webstore, including fulfillment of the orders. The Merchandise Pavilion and Program Assistant will become a member of the Walkway Merchandise Committee. Manage the Walkway Pavilion Merchandise operations: replenish stock from storage; take inventory as requested; recommend reorders to Merchandise Committee; track and identify sales trends at the Pavilions and on the Webstore. Communicate both positive & negative feedback from volunteers, visitors & customers regarding merchandise to the Merchandise Committee. Support the operations of the new Walkway’s Webstore and fulfillment of orders received on the Webstore. Train new Ambassadors and Volunteers how to use our Point of Sale registers. Communicate weekly with Director of Program and Visitor Services to make sure we have enough Volunteer sales coverage for each Pavilion. Perform other duties and responsibilities as needed by Executive Director, and the Program and Visitor Services Director. Previous retail clothing and accessory experience required, preferably with management responsibilities. Strong organizational skills and the ability to work productively in a fast-paced, high energy environment with frequent changes. Expertise with POS systems and Excel. An informal yet professional work style, along with a commitment to working as part of a collaborative team. Excellent and pleasant verbal, phone and virtual communication skills to work effectively with the public and a diverse group of volunteers. Up to a 21hour work week including Saturday, Sunday, and 1 weekday; including flexibility for evening events as needed. The ability to lift 25 lbs. We are seeking a highly motivated individual with the ability to work well with a variety of volunteers and Walkway patrons. This individual needs excellent communication and organizational skills. We need a flexible, independently motivated person who is willing to roll-up his/her sleeves to do whatever is necessary to ensure the success of the Walkway. Walkway Over the Hudson is an equal opportunity employer. Only qualified applicants will be contacted. Please no phone calls.